I was the aberration in my family: a single child. My mother had three sets of identical twins, and then me. Two boys, two boys, two boys. At least if I had been a girl it would have been some consolation for all of us. But I was not; I was the seventh boy, as unremarkable as anyone’s child, born without my other half. First, I wondered what it would be like to be the mother of seven boys. Then, I wondered what it would be like to be that seventh, unremarkable boy, living with six older brothers who all had built-in companions. The Madrigal explores all of this, and more. My brothers either never left me alone, or left me alone all the time. I was, perpetually, either completely overwhelmed or profoundly lonely. I imagine it was the same for my mother. Frederick, however, had something his brothers did not have – a beautiful voice and a love of music. In my life, music has both saved me and destroyed me. Late at night, when he was supposed to be in bed, Frederick would hear his mother singing to herself in the kitchen, or while doing the laundry. Alone in the kitchen with my spent mother, I heard my first symphonies. It was at night, unknowingly, that she taught me how to feel. His love of music helped to fill up his lonely childhood. From the beginning I heard music everywhere, from the safety of a myriad of silent hiding places. The thudding feet, thrown balls, and door slamming of my brothers gave way to an even more boisterous symphony of the street, to which I listened from behind the elderberry, green and shady enough in summer to hide a small child. The ground was always cool, and damp stained the thin seat of my already thrice-worn shorts. I leaned up against the crumbling brickwork and listened to hissing buses, impatient drivers, and frantic dogs as a backdrop to the robins’ gentle melody line. It was like a song about a lost world. When I went to school, I hid under the half-flight of steps at the bottom of the stairwell and listened to the fearful buzzer that called children in from the playground – all wound up like metal springs from sugar and bullying, their voices a battlefield – and I felt the vibrations of a hundred feet rise above my head like a percussive detonation. It was a song about the end of the world, where only dust was left in the ensuing silence. The narrative goes back and forth between young Frederick and present-day Frederick as he recounts his life story in an effort to make sense of who he is. I imagine that most people feel, at times, that their lives have been co-opted by forces beyond their control. Who gets to choose what happens? We are never safe from blameless accident, from misguided goodwill – nor yet from careless stupidity and unintentional evil… I am not exceptional in having lived some of these things; my small story fades into nothing, ‘a niente’, compared to that of countless others. So why tell it? I suppose because making peace with a small story is as important as making peace with a large one. For most of us the tragedies are not absolute. We get up and go on, in some deep way transmuted from our formal selves, but usually not visibly so. And then we spend the rest of our lives trying to answer the question: What the hell happened? Frederick grows up to be the kind of guy who takes a lot of books out from the library because he’s in love with the librarian. I’m the kind of guy who appears to be a bargain garment until the seams are more closely examined. Women like me all right, until they get to know me. Once they do, they decide I’m strange, and a strange man might do anything. They suspect me of being unpredictable, even though I am pretty much the most boringly predictable guy in the entire world. After a few dates, they clamour for a refund. After being discovered, as a youngster, singing on street corners for money to pay for music lessons, Frederick receives a scholarship to attend St. Mary’s Choir school in Toronto. He is so relieved to be out of his house and away from his brothers that he never looks back. I put on my school uniform, and my previous life wore thin and faded away like my hand-me-down jeans. He thought he had it made – that his struggles were behind him and ease and comfort (and Julliard) lay ahead. Now, as a quiet Canada Post mail carrier, back in his hometown, Frederick no longer sings in public. He visits his mother at the nursing home once a month, relieving some of the guilt he feels about leaving her so readily. But he is still oppressed by remorse about what happened between himself and his friend Alex all those years ago in Toronto; one short moment that he can not take back. We didn’t call it bullying in those days. We didn’t call it anything. We didn’t ever once think that what we were saying out loud in the school yard and under our breaths in the cathedral vestry had the power to shift the entire swirling world under our still-growing feet. Over the course of the book, I became very attached to Frederick. I wanted to hug his mother and strangle his brothers. I wanted to cheer for the kindness of the individuals who helped him and hiss at the boys whose influence led to tragedy. I felt disappointed in young Frederick, but protective at the same time. I wanted so badly for him to be able to shed the weight he carried around with his mail bag and be happy. I wanted the librarian to notice him. I wanted him to have the twin he longed for. I wanted him to be able to forgive his brothers (for his sake, not theirs), and to forgive himself. 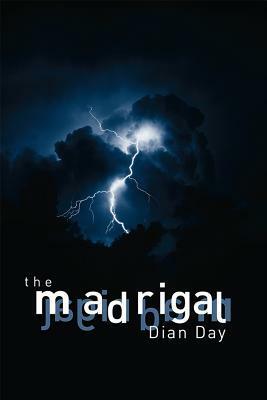 Dian Day has created a character in Frederick that is unlike any other character I’ve read before. There are three kind of people who sing. 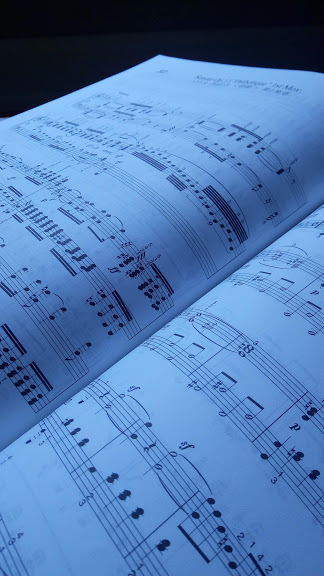 The first and the best – the ones I wait for with my fluttering heart caught behind my sternum – are the kind whose immeasurable emotion spills out freely with the words and music. Their faces, their whole bodies, their entire lives, the expanding capacity of their love, pour out among the rafters. Those of you with very good memories may remember having seen this book reviewed on my blog before. James at The Miramichi Reader reviewed it as a Guest on my blog back in July. As is usually the case, he mentions things that I haven’t (and vice versa), so please check it out. We both highly recommend it! In an interview at Open Books, Dian Day talks about how her book came to be (“Then one day I met the child Frederick in a desolate ‘handyman’s special’ being shown to me by a real estate agent.“), the central questions of her book (“With Frederick’s help, I wanted to explore if and how we can move beyond past traumatic events, especially if we hold ourselves responsible for them.”), and what, for her, defines a great book (“I crave character-driven stories grounded in credible worlds.“). Thank you to Inanna Publications for sending me a copy of this book which I won in their monthly contest! I was so happy to see this review of The Madrigal by you, Naomi. Your love of the character Frederick is notable, too. 🙂 Dian is a very gifted writer. Wonderful. I liked it better than Madrigal, but the stories can’t be compared so easily. Sounds interesting, aboout an ordinary life, although not exactly. Someone living an ordinary life who could have been living an extraordinary one? I found that part of the novel fascinating. And I felt so bad for their mother – those boys paid no attention to her – they just did whatever they pleased. It made me very grateful to have (mostly) well-behaved children! That’s so interesting a concept, that in a large family like that one might feel different to the others, and it made me think of my own seven half brothers (from my biological father) who I didn’t grow up with, but there is one in the middle who a very different life to the rest, and I wonder if it is also because of a similar concept, he is the fifth, his elder four brothers were raised in India and the two youngest, very close in age were raised in Australia, and on either side of him are sisters, who are also close. He now lives in Germany and is a painter. I wonder what inspired the author to come up with the concept? Your own family’s story sounds so interesting! I’m always fascinated by stories of large families. Thanks for sharing! I love the sound of this and “I crave character-driven stories grounded in credible worlds”, sounds perfect!